Although it’s not officially summer yet, it sure feels like it here in Austin! With this kinda heat, I’ve started early on the summer salads. 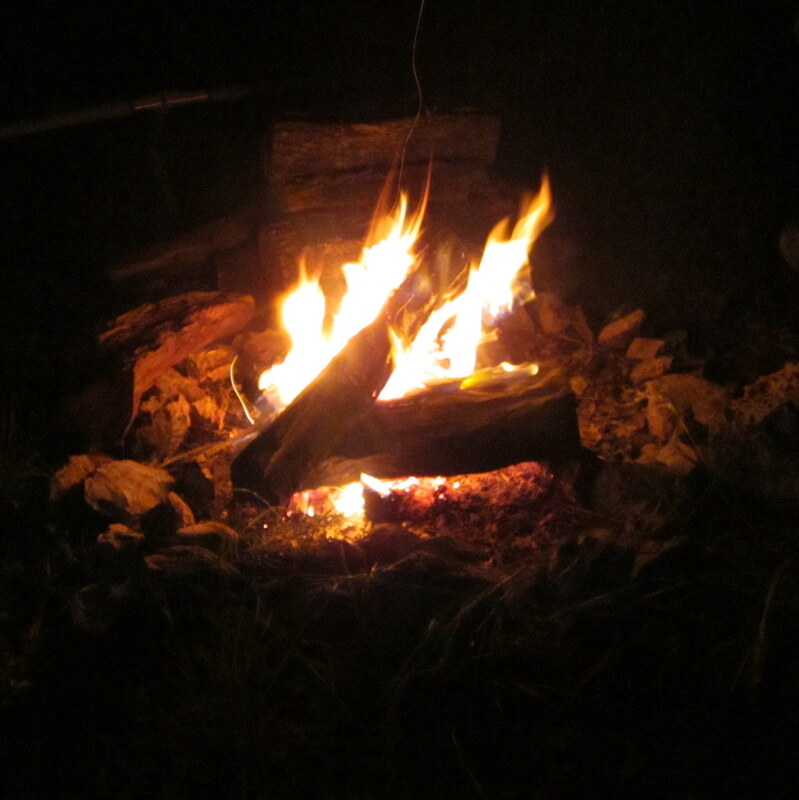 A few weekends ago, I went on a girls campout. In addition to the hot dogs and marshmallows, I thought it would be good to have some veggies with our meal—in the form of a couscous salad. My old roomie used to make it all the time so I decided to give it a try. Cook the couscous according to the package instructions. Do not overcook the couscous like I did—it turned out a bit too mushy. Allow the couscous to cool in the refrigerator for at least 30 minutes. 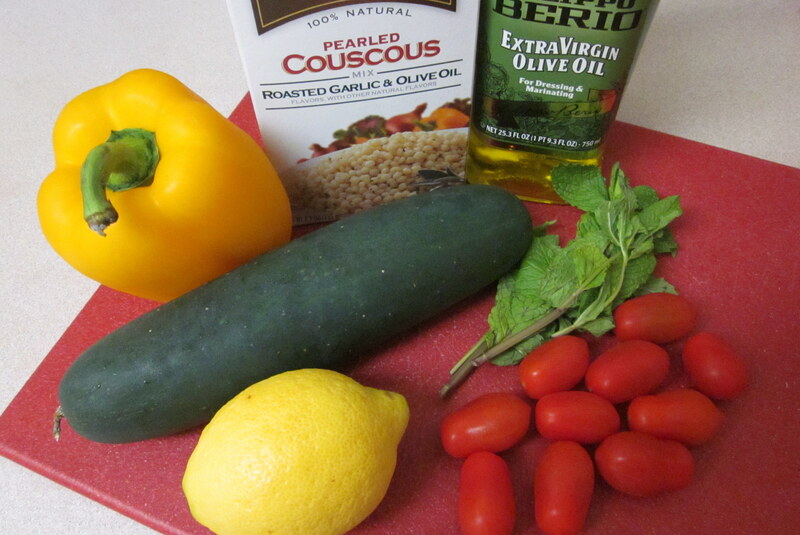 While the couscous is cooling, dice the bell pepper, cucumber, tomato, and mint. Gently mix in the veggies with the couscous. Squeeze in half a lemon. Add 2 T olive oil and salt and pepper to taste. Mix well. Refrigerate for another 30 minutes to allow the flavors to marinate. Makes about 8-10 servings—it’s kinda massive! The flavors are mild, but the salad tastes fresh and healthy. Add in other veggies/seasonings as you like. Super easy, plus it keeps for hours un-refrigerated for those picnics/campouts! 1. Watermelon Salad from The Ravenous Couple – whatever’s in this salad keeps the flies away. 2. Spinach and Strawberry Salad – a summer classic. 3. Caprese Salad – another yummy reminder of summer. 4. Tomato and Cucumber Salad – I love the refreshing crunch of cucumbers. 5. Chicken Salad – not the mayonnaisey kind. 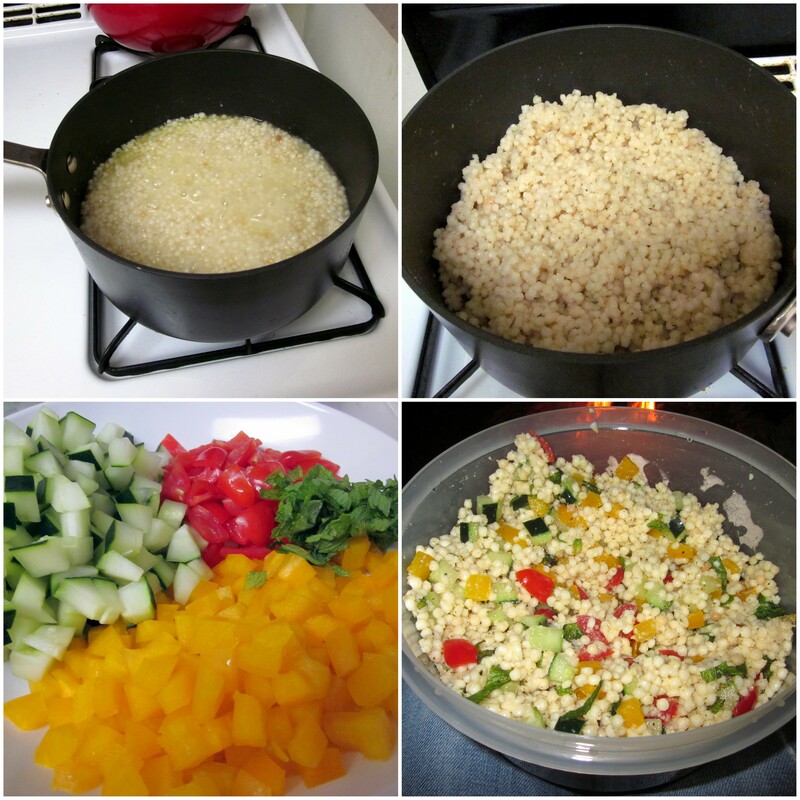 This entry was posted in Food and tagged camping, couscous, Summer salad. Bookmark the permalink.